T he EE British Academy Film Awards are the crown in the jewel of the British film year and for a staggering but very welcome 10th time - Mr. Stephen Fry will be hosting the 2015 EE British Academy Film Awards. I do get the feeling even though Fry has already out Gervaised, Ricky Gervais and out Clooneyed, George Clooney that he has only just begun. But before Fry oversees the star studded awards proceedings we still have the 2015 BAFTA nominations announcement on Friday 9th January to look forward to. That's almost a full month in advance of the actual 2015 EE British Academy Film Awards Ceremony on Sun 8 February 2015. The British Academy of Film and Television Arts has today announced that Stephen Fry will return to host the EE British Academy Film Awards on 8 February 2015 at the Royal Opera House in London’s Covent Garden. It will be the 10th time Fry has hosted the ceremony. Hosting the Film Awards has always been a highlight of my year. The opportunity to help the Academy promote filmmaking and encourage cinema-going means a lot to me. I've met many heroes and had the honour of introducing many young talents that are now busy forging remarkable careers for themselves. Seeing the photos from each year back I can chart my bewildering changes in weight too…"
The ceremony will be broadcast exclusively on BBC One in the UK and in all major territories around the world. The BBC One broadcast will be preceded by a red carpet show on BBC Three and complimented by extended coverage from BAFTA online. The EE British Academy Film Awards Nominations Announcement will take place on Friday 9 January at BAFTA, 195 Piccadilly. A live stream of the announcement will be available via www.facebook.com/bafta and will begin at 07.35. The EE British Academy Film Awards are the highest profile and most respected film awards outside the US. Last year’s nominees, presenters and others in attendance included: Alfonso Cuarón, Alicia Vikander, Amy Adams, Angelina Jolie, Barkhad Abdi, Brad Pitt, Bradley Cooper, Bruce Dern, Cate Blanchett, Chiwetel Ejiofor, Christian Bale, Christoph Waltz, Daniel Brühl, David O. Russell, Douglas Booth, Eddie Redmayne, Emma Thompson, Gillian Anderson, Helen McCrory, Jack Huston, Jeremy Irons, Joely Richardson, Dame Judi Dench, Juliet Stevenson, Imogen Poots, Leonardo DiCaprio, Luke Evans, Lupita Nyong’o, Maggie Gyllenhaal, Martin Scorsese, Matthew Modine, Michael Fassbender, Michael Sheen, Niki Lauda, Oprah Winfrey, Paul Greengrass, Ray Winstone, Richard E Grant, Ron Howard, Sam Claflin, Samantha Barks, Stanley Tucci, Steve Coogan, Steve McQueen, Tom Hanks and Uma Thurman. 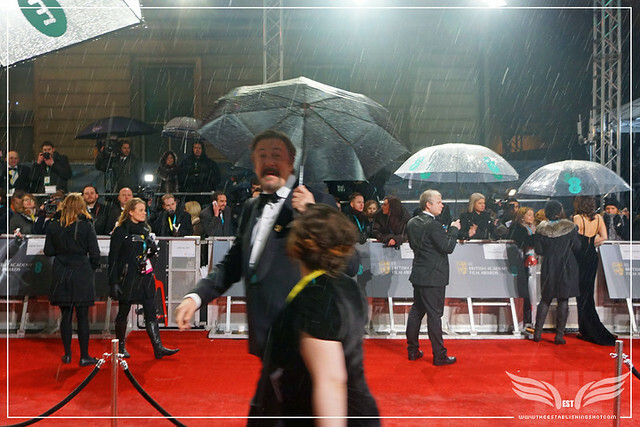 On the night, www.bafta.org will feature red carpet highlights and exclusive photography and backstage interviews, as well as updates across its social networks including Twitter (@BAFTA / #EEBAFTAs), Facebook (/BAFTA), Instagram and Tumblr.